John Schurtz, a contractor and principal of Green Builders of Marin, is dedicated to bringing sustainable design to the Bay Area. It was four years ago when John first started on the path to green building. As principle contractor of Shurtz Construction, John was working on a Victorian home in Sausalito when he heard about a protest led by actor Woody Harrelson, GreenPeace, and the Rainforest Action Network. The protest involved a lumber company buy-out, that created massive layoffs and resulted in a dramatically increased redwood timber cut. As a contractor who regularly used redwood, John began examining the impact of his own industry, and ultimately decided that he wanted to make a difference. The experience started John on a new path, including a name change from Shurtz Construction to Green Builders of Marin. He began to write editorials and to educate contractors, architects, and even students on how to reuse materials, and choose sustainable alternatives. 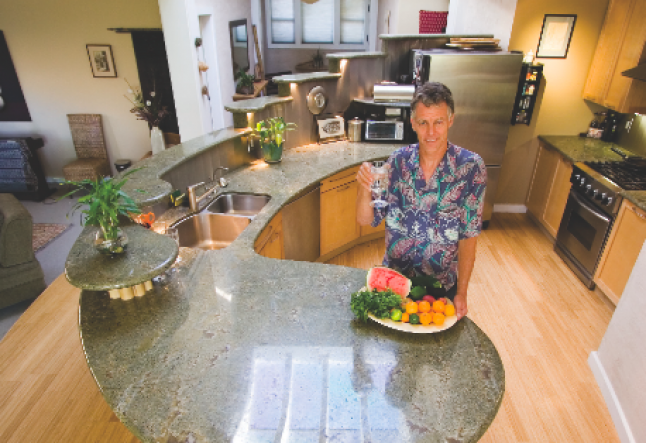 In 2001, John took the principles of renewable energy, sustainable forestry, and alternative materials and turned his home in Novato into a green laboratory. At the same time, he met interior designer Heidi Hirvonen-White. The two began working on renovating Heidi’s new home in Tiburon – incorporating both practical green design and sustainable interiors. 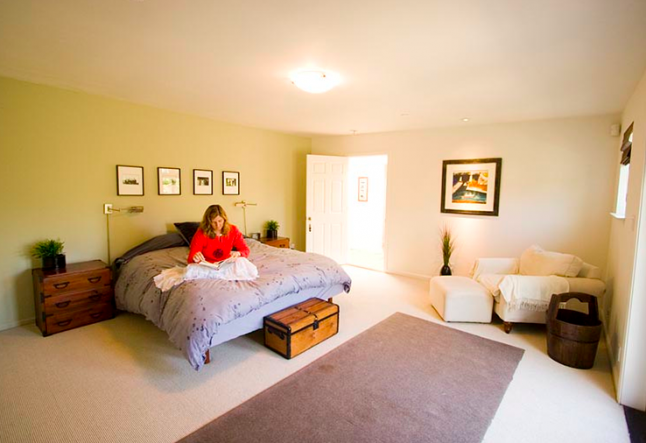 Heidi Hirvonen-White is a licensed interior designer and founder of Sage Design, a sustainable interior design firm in Tiburon that marries quality design with sustainable style. For years, Heidi worked as a corporate interior designer, where other priorities trumped an interest in green design and environmentally-friendly spaces. But when Heidi partnered with John for her home renovation her priorities changed and the two worked to create a family home for Heidi that had green credentials. John incorporated many of today’s ecological resources into Heidi’s home. 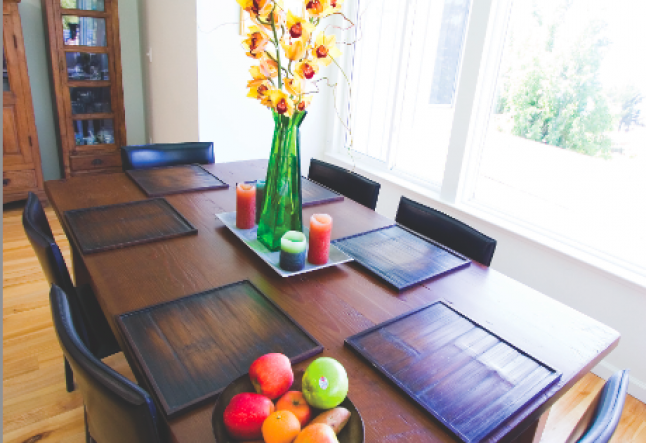 Low VOC (volatile organic compound) paints and water-based stains were used on walls and cabinetry. Reclaimed red birch flooring and long-lasting wool carpets were used throughout the home. Radiant floor heating to keep the home warm, and cross-ventilation to keep the space cool and full of fresh air during warm months were also added. Concrete made with 50% fly ash aids in retaining heat in winter, and is conversely cooling in summer. Ultratouch insulation, made from recycled blue jeans, fills the walls. And most of the lumber used on the project was certified from sustainable forests or salvaged. The labor that went into the home was intensive due to Heidi’s desire to reuse existing parts of the previous house structure. Usable lumber was painstakingly recycled, taken up board by board, with each nail removed and then relayed. The same was done with existing carpeting. To save energy, daylighting was incorporated, and solar panels were installed to heat Heidi’s outdoor pool. Another all-natural innovation, wheatboard – made from wheat compressed to form 4’ x 8’ boards – was used to build shelving and drawers. In his own home, John was able to fuse natural elements with a modern sense of interior design to create a comfortable home environment. 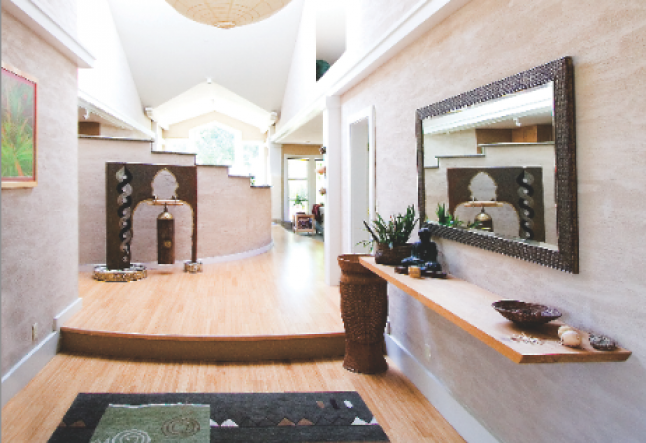 Renewable products like bamboo were used for flooring throughout the home, and again radiant floor heating was used to keep the home warm throughout the year. Photovoltaic panels were used for electricity, and solar tubes run throughout the hallway and closet areas so as not to waste energy. John also made use of daylighting, so that plenty of light streams through the house, resulting in the need for very little electric light. 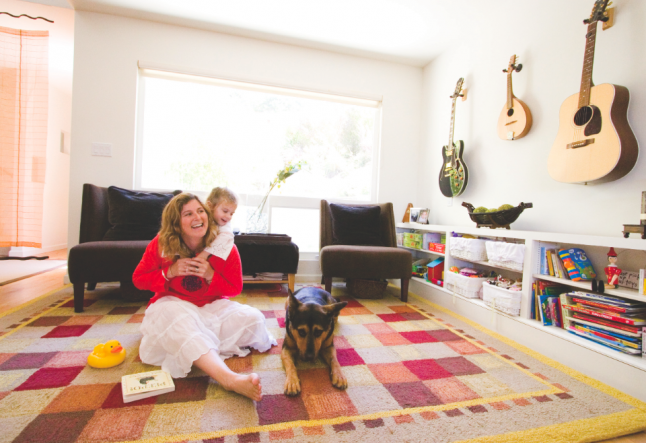 John used what he calls alternative sources in his home, like recycled denim insulation, and PIS or shot-earth, which is a clay soil from Sonoma used as siding to maintain heat during the winter, and to cool the house in summer, much like an adobe house. Fly-ash has been incorporated in concrete that John poured at home to reduce pollution. And xeriscaping has been used in the backyard, where low-water plants indigenous to California such as sage, succulents and natural grasses are planted. In addition to contracting, John now uses his time to write editorials and give informational workshops on sustainable design. He opens his home to school children who come for fieldtrips to learn about sustainable design, and how they can protect the earth through green living. To John, green design is not just about building a beautiful home, but is also about a long-term investment in the future. While green design may be a bit more expensive, due to the fact that it is more labor intensive, in the end, the savings are tremendous. Energy costs can be lowered by almost 80 percent through the use of solar panels and solar tubes throughout the home. Materials used in green design are long-lasting, and there are definite health benefits to using non-toxic materials – benefits that can save on long-term health costs. Right now the cost of green materials is high, but as more of us go green, the price of materials will begin to come down. Both Heidi and John agree that there is a need for an American market that is educated about and understands the importance of green design. Heidi reminds us of the fact that the U.S. exports more solar panels than it uses. But more Americans are discovering the need for green design. With Californians at the forefront of this movement, we are embracing healthier lifestyles which have less of an impact on our natural resources. And with designers and contractors like Heidi and John, it is sure that green design will begin to take off. As Heidi says, green design does not have to be all or nothing. Each small step towards a greener lifestyle can encourage others to do the same. Working to incorporate green style in your home can have a positive impact on your environment, your health, and most importantly, the way in which you treat the world.